Looking to go to school in Georgia? Alright! And you want to go to school for graphic design? Double alright! It’s a good thing you’re here, then! 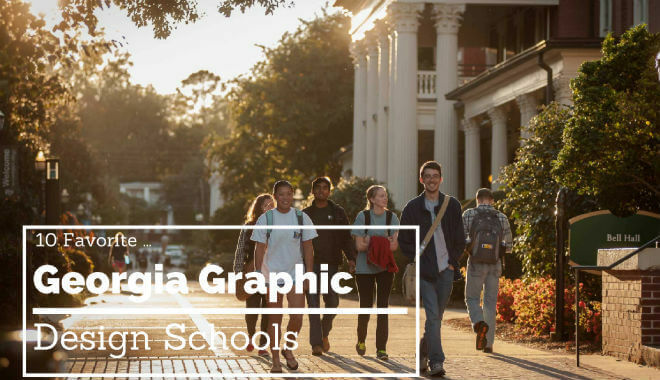 We put together a list of ten of the best graphic design universities in good ol’ Georgia. What’s great about Georgia is you get a little bit of everything, in terms of landscape. Coastal beaches? You got it. Farmland? Sure thing, sign us up. Mountains? You’re getting greedy, but we’re feeling generous today. Pile some mountains on there! Yep, Georgia has plenty to offer to keep you happy and satisfied. Including, it turns out, some top graphic design schools. Our ranking methodology is a diverse one. We picked a smattering of the top schools from several categories. The things we look for are great tuition pricing (best bang for your buck, as they say), excellent graphic design program (obviously), renowned faculty, and overall school quality. The schools selected for our list are top performers in at least one of these areas. Because of our ranking system, the schools are not ranked in any particular order. The numbers are there for clarity, not to indicate rank position. Many of the universities that make our lists only offer Bachelor of Fine Arts degrees and Master of Fine Arts degrees. Savannah College of Art and Design is breaking that mold. SCAD offers both a Bachelor of the Arts degree and a Bachelor of Fine Arts degree, in addition to offering the Master’s degree counterparts. If you’re someone that wants to focus on user experience and interface design, Savannah College of Art and Design just might be the place for you. Now, SCAD made the list because it has a college in Savannah, Georgia. It also has a college in Atlanta, Georgia. A double whammy! In addition to that, there is a SCAD in Hong Kong, and a strong online program as well. The location flexibility that it offers can make a very appealing offer if you don’t want to commute or don’t want to relocate to get your degree in graphic design. The University of Georgia has a five semester Graphic Design curriculum, but the five semesters start after you’re accepted into the program. So, the length of your studies depends on how timely you can make your entrance into the BFA program. You’re required to take a Graphic Design Survey class prior to entry into the Graphic Design BFA. This class only accepts sixteen students per section, but luckily for you, multiple sections are offered each year. For successful entry you must pass a faculty review of your work. Your GPA and participation are taken into account as well. The Graphic Design program at Georgia State University is home to students who are both actively working in a graphic design-related field, and those who are pursuing their first degree promptly after graduating high school. This combination of active graphic design partitioners and the students starting essentially from scratch forms a good melting pot for industry standards and fresh approaches. The program challenges students to use personal exploration and social consciousness as a means to solve design problems. This program is for you if, in addition to gaining strong graphic design skills, you want to actively consider the broader applications and far-reaching impacts of visual communication. Georgia Southern University boasts a dual degree program that covers both Graphic Design and Graphic Communications Management. This means that, if you’re interested, you could major in one of these topics and minor in the other. With this approach, you would cover all elements of both design and production for graphic design. As with most graphic design programs, you’ll be required to complete an initiate program in your first year. Georgia Southern University calls this introductory program their Foundations Program. GSU could be right for you if you’re hoping to explore both sides of the coin that is graphic design. The University of West Georgia’s art program offers state-of-the-art facilities to aid you in your pursuit of all things creative and graphic design related. There are Mac computer labs dedicated specifically to the Graphic Design program, so you won’t have to worry too much about securing a terminal to work on your projects. The University of West Georgia also touts connections to local businesses and the museum. These connections make it possible for you to secure internship positions. Spots are limited, so you’ll need to get serious about the work you put into your portfolio while you’re learning at the University of West Georgia. A portfolio is required to enter the School of Art and Design program as an art major, no matter your focus. The department will review the portfolio and your acceptance is contingent upon their approval. If your portfolio is not accepted, or if you never bothered to compile one, you can join the University as an art interest student. This designation lets you take introductory art courses, provided space in the class is available. After taking some introductory art courses at Kennesaw State University, you’ll have the opportunity to resubmit (or submit for the first time) a portfolio for review and acceptance. Augusta Technical College is a college that is priced right for the value it brings. It offers two programs, one that results in a technician certificate, and another that results in a diploma. The 30-week program to get certified as a Graphic Design and Prepress Technician costs around $1200. The 64-week diploma program will cost closer to $6000. Both of these programs have very small class sizes, which ensures resources are available and the necessary hands-on help with instructors is available. The certificate program for Graphic Design and Prepress in its simplest form is a short, 20 hour, two-semester program. 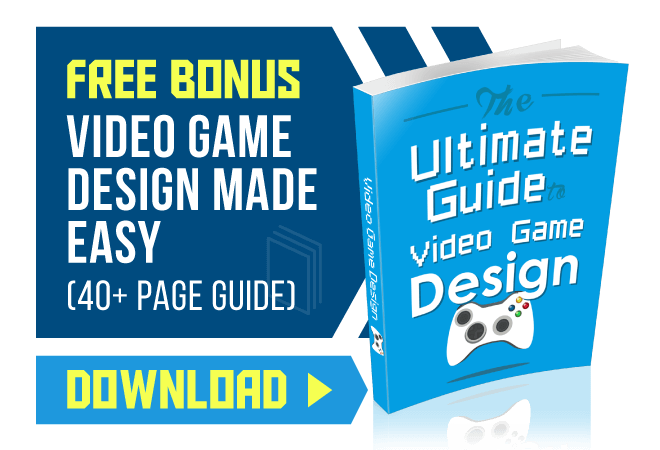 It covers elements like introduction to design, vector graphics, and other applicable skills. The degree program is a five semester, 61-credit-hour program. It covers vector graphics and page layouts, as well as media tech and intro to computer courses. 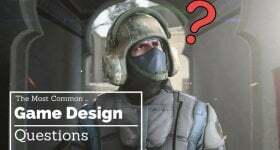 As you can see above, Albany Technical College offers degrees, diplomas, and certificate programs for Graphic Design, and Design and Media Production concentrations. If you’ve taken the SATs, ACTs or GHSGT (Georgia High School Graduation Test), you will likely not have to complete the admissions test for entry into the college. Albany Technical College gives you a variety of degree options at varying credit-hour lengths. That kind of flexibility always has its appeal. Certificate programs offer a good opportunity to expand your knowledge of the graphic design field. Emory University offers what could be considered an introduction to graphic design with their Fundamentals of Graphic Design Certificate. The Advanced Graphic Design Certificate program will challenge your graphic design skills, and accelerate you to the next level. There’s a capstone project that you’ll complete from start to finish essentially on your own, with some feedback from the instructor. One or both of these certificate programs could be for you if you’re looking to get your feet wet in graphic design or take your skills to a new level.